Take a look at the Freedom Arts video. Contact Angela: angelroy@telus.net or phone 250-212-7594. 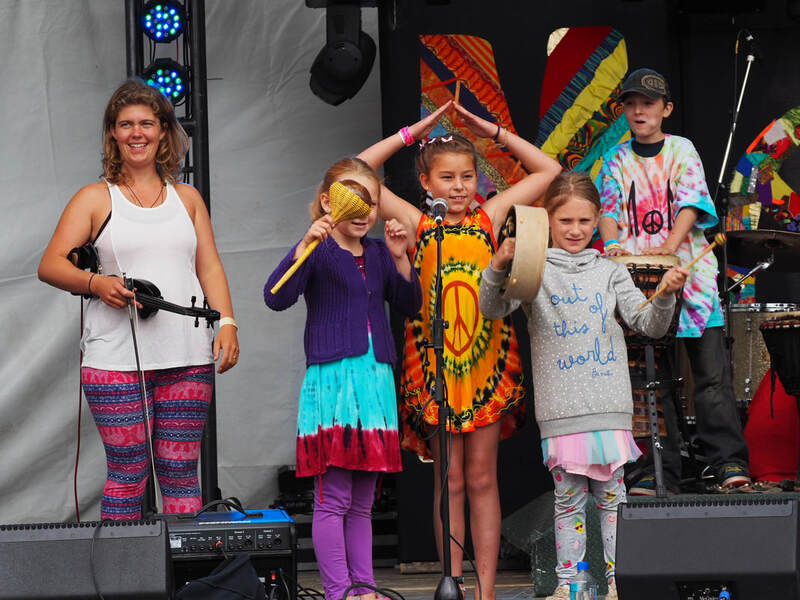 Barefoot Caravan members tour throughout western Canada performing and presenting the Freedom Arts Program to schools residency, community events and festivals. Blake McAndless has spent the last several years teaching this unique yoga locally and internationally. Blake has been in BC’s music scene for over a decade as a teacher, touring artist and current drummer with Barefoot Caravan. Tereza Tomek is a Vancouver Island-based songwriter who draws inspiration from great stories; she uses colourful characters, vivid imagery, and humour to bring unique tales to life. Youth Leader Mayla Hill is a talented youth with a keen connection to the outdoors. She brings her leadership skills and hoops to the program! Mayla has performed with Freedom Arts since 2016. Potter Lesley Lloyd will be leading Play with Clay and an adult raku workshop thanks to Pope Mountain Arts sponsorship!